Everyone wants and needs a room that fulfills the need for restfulness. Bedrooms full of ambiance require some thoughtful consideration. After all, dreams are made of this: the combination and culmination of all of your decorative and necessary efforts! Good sleep can be helped by a number of tips and design concepts for total relaxation. The first tip is to try to keep electronics out of your bedroom. The blue light emitted from televisions, phones, laptops, and tablets can trick your body into thinking it is still daytime. This is due to the natural circadian rhythm your body internally equates with a 24 hour time period. It is basically the sleep and wake cycle the body regulates. The first design concept for relaxation is to find a paint for the walls that is in warm neutral tones. Color can become an ultimate soother working fabulously to ease into a decompression, no-stress zone for beginning the winding down process we must all do to become relaxed enough to sleep. When choosing your wall colors match the hue with your bedroom decor, such as matching it with a bedspread, throw pillows, wall decor, or even the coloring of your furniture. 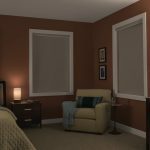 The second design concept is to choose a window treatment for your bedroom that is light blocking for maximum darkness and privacy. 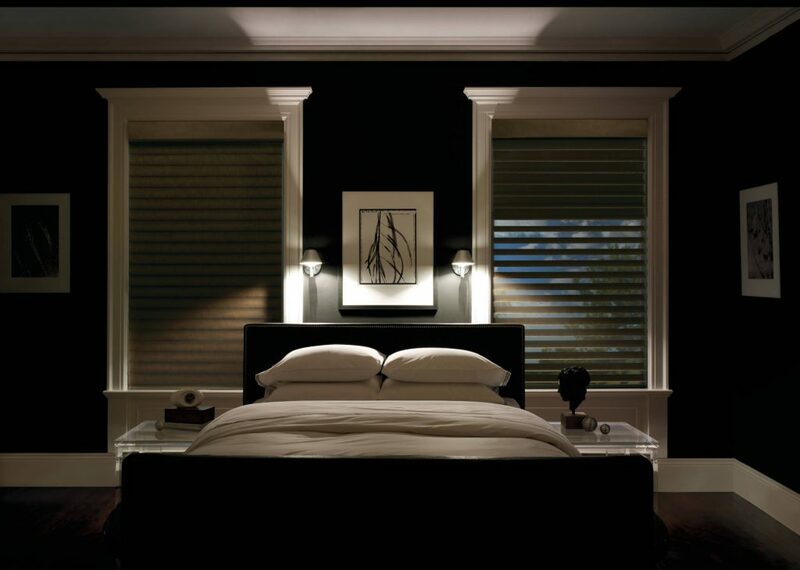 The darker the room, the more restorative sleep you will receive. This is also especially helpful for people must sleep during the day due to job scheduling. 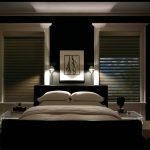 The benefit of the darkness helps the body adjust and change to this new cycle since our bodies are naturally accustomed to light equaling waking time and dark equaling sleep time. 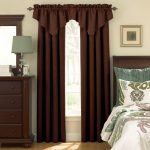 There are many choices for room darkening window treatments. 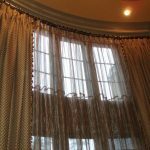 They range from blinds with special fabric backing, wooden blinds, bamboo blinds and shades, shades made with closely woven materials, and drapes/curtains that have a special fabric backing that block light, Another bonus for the drape/curtain choice is that many are made with insulated layers of different types of material that can help keep your room at a constant temperature. This saves money on heating and cooling that can otherwise escape through the window. Next, be sure to choose a mattress and pillows that are suitable for you and your sleeping style. 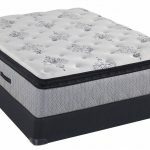 Many mattresses our made to adjust to the firmness you personally prefer. Other mattresses are made to cradle your body and support you no matter what differing sizes of people sleep on them. Pillow choices are also made for side-sleepers, back-sleepers, or stomach sleepers. 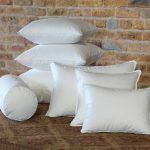 A little side note: Side-sleeper pillows are great for people who are sprawling sleepers, or toss-and-turners! Then comes the choice of sheets. Whether you choose your sheets to be made of flannel, jersey knit, cotton, cotton-polyester blends, microfiber, or satin, they will also help your journey to Dreamland! 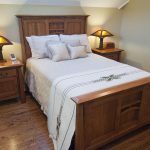 Finally, choose a duvet/comforter, bedspread, quilt, or blanket that appeals to your decorative flair, yet has an effect on your comfort while sleeping. Some people prefer the heavier weight of covering atop them, while others feel too contained and prefer lighter coverings. Lighting inside the bedroom is also a consideration. It is perfect to have light to see what you are getting out to wear in the mornings; you don’t want to be mismatched! Also, lighting is great for reading a book to relax. Let’s not leave out cleaning day, either, although that will be your least relaxing time in your bedroom! No daydreaming allowed! Well, maybe just a little bit of daydreaming! 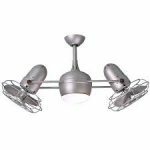 So, to choose your lighting you will want a bright ceiling light. 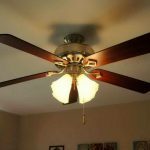 If you are someone who likes some white noise while you sleep, purchasing a ceiling fan with the lights attached is ideal. 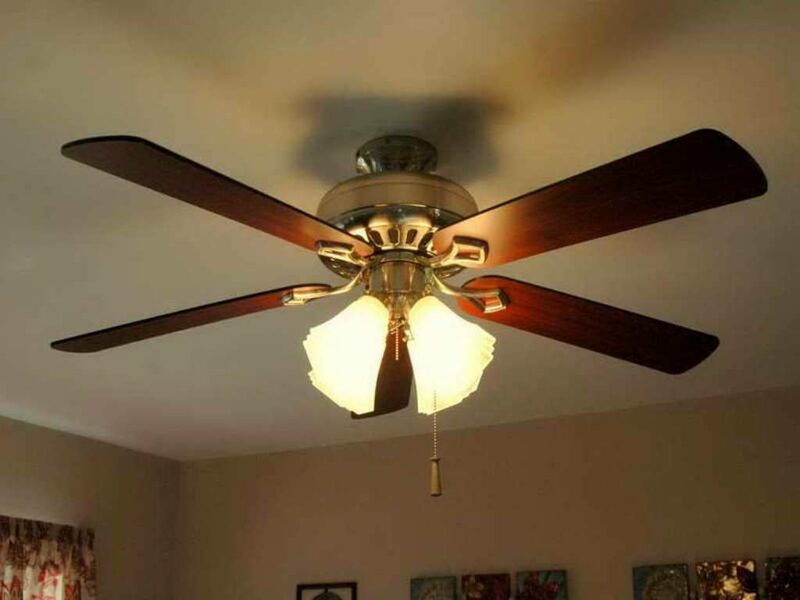 Ceiling fans also distribute temperature throughout the room. 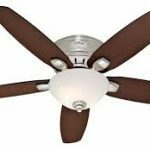 The newest ceiling fan/light combinations come with a remote for the light and the fan. 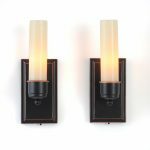 It will dim your lights, as well as control your fan speed. Dim light can create an soothing ambiance. A lamp on a nightstand, or attached to the wall next to your bed can also provide light for the times you want direct light while reading and while getting prepared for bed. 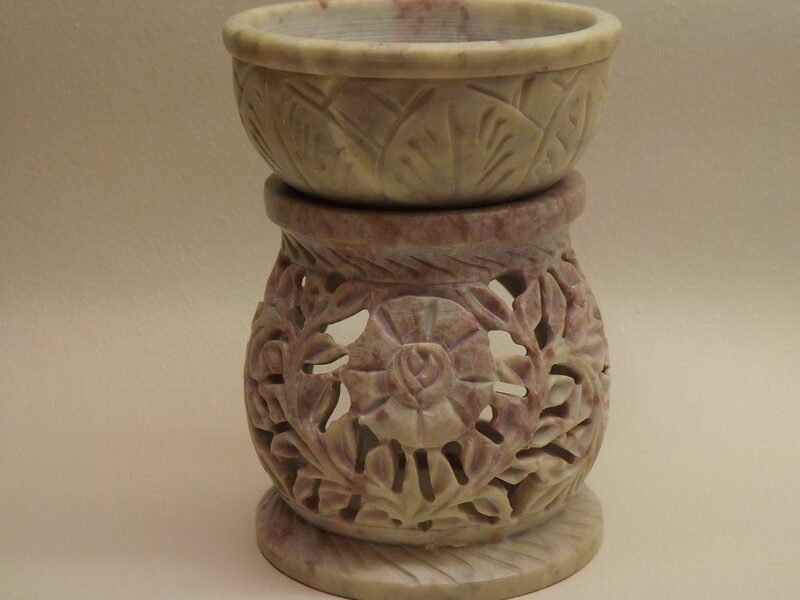 Consider adding a scent pot or oil warmer to your bedroom, as well. Aromatherapy through the use of essential oils, or scented wax cubes can create a stress-relieving sleep aid. Lavender, Chamomile, Sandalwood, and Ylang Ylang are some scents that can have calming, stress-relieving properties. 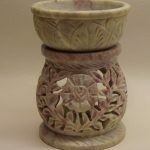 Avoiding Cinnamon, Peppermint, and Citrus scents in the bedroom may be wise, though, because they can promote feelings of alertness and a sense of energy. If you prefer not to have the scent remain in the room all night, consider lotions and body balms with calming scents to apply to your skin just before retiring to bed. In considering decor for your bedroom walls, furniture, and/or shelving, it is best to keep it minimal. Choose your favorite calming print or a favorite photo to hang on the wall. 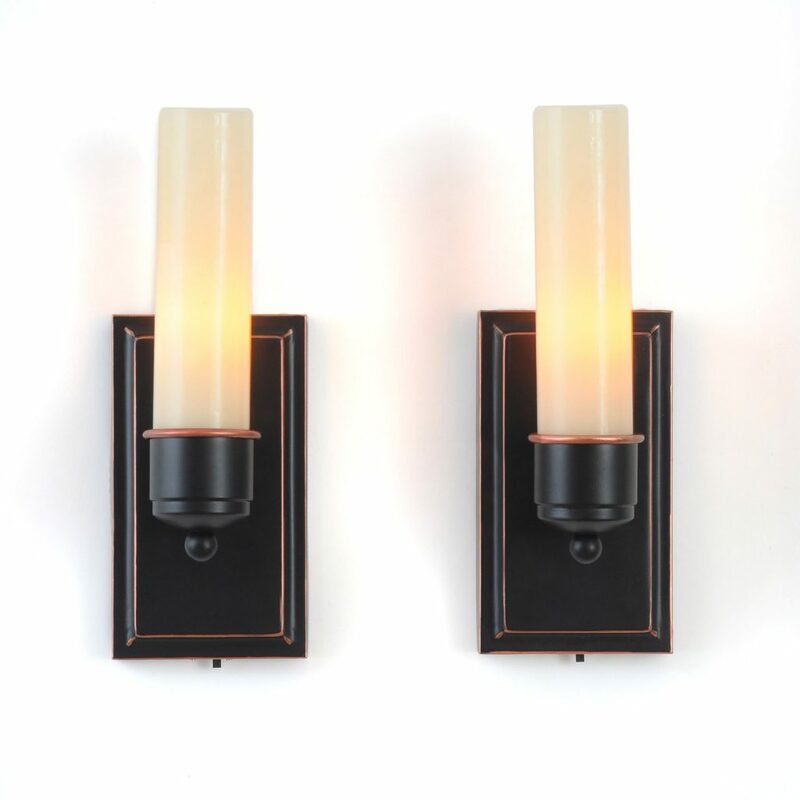 Adding some battery-operated candles in sconces to your wall is another nice touch. For shelving and furniture, a silk floral arrangement can enhance the feeling of calmness. You may chose a couple of figurines for furniture and/or shelving, just keep in mind that the more you choose for decor, the more stimulation your mind will have. Your goal is to create a relaxing, sleep-inducing oasis for yourself. Last, but not least, be sure that the furniture you choose fits your room properly. You want to have a well-balanced room that is able to contain all your necessary belongings. 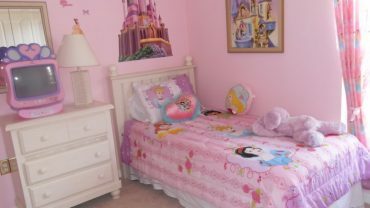 Depending on the design lay-out of your bedroom. you may not need dressers if you have a large closet with suitable storage that includes drawers. 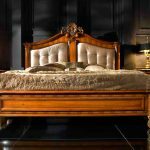 If you do need a dresser, with or without a mirror, a chest of drawers, nightstand, or even a chest to place linens in, by all means, choose your favorite style. But, before purchasing measure the square feet of your room and the open spaces you want to fill. This will help you keep your furniture from being overcrowded. 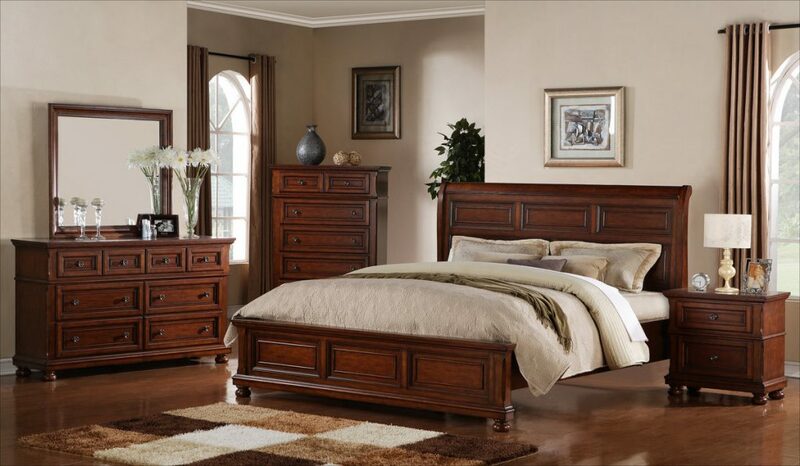 If you should awaken early, you do not want to go BUMP in the night…right into an over-sized piece of furniture! Some bedrooms may be large enough to contain a seating area, with lounge chair(s), a table, and/or a small sofa. I would suggest that your bedroom be the place you can go to relax: a bedroom with surroundings that take you to a place of Peace and Harmony. After all, we only function at our best when we are well-rested, with sweet dreams!